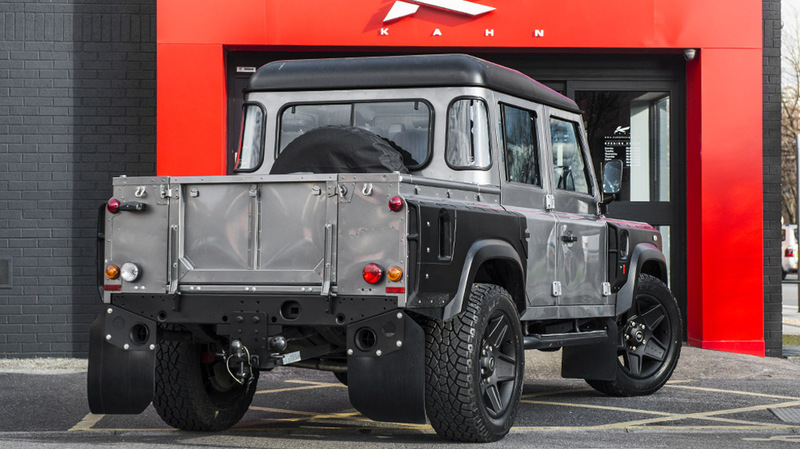 Kahn Land Rover Defender XS 110 Pick Up is this week's entry the talented tuner just sent us. 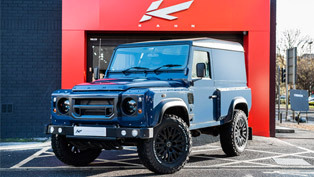 For this project Kahn Design have worked closely with Chelsea Truck Company to create this truly unique Double Cab pickup based on the Defender 2.2 TDCI XS 110. 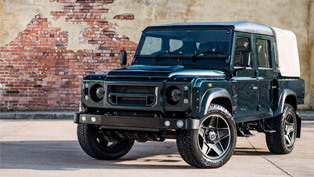 Looking even more military than ever, this vehicle features all of the needed design elements to be called a masterpiece. 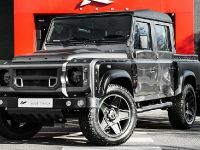 Let's se what the British experts have achieved this time. 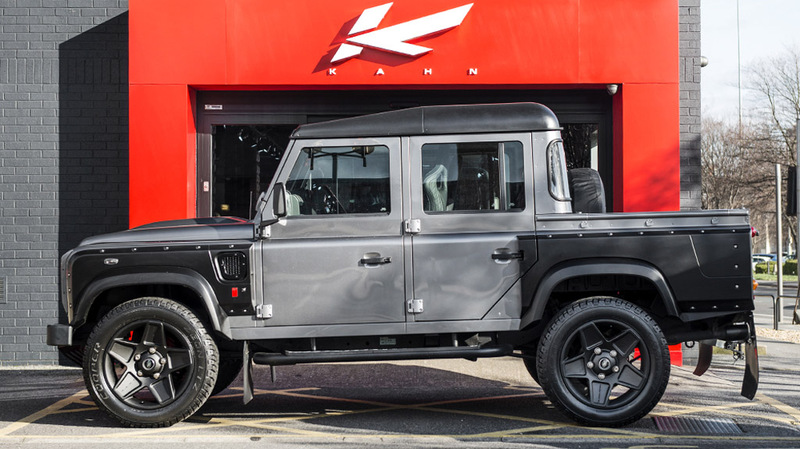 To begin with the "boxy" outer shell of this Kahn Land Rover Defender, it has been covered with one-off Corris Grey colour. 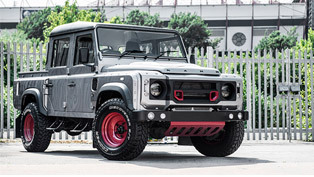 It seems like this paint scheme fits perfectly to the rough style of the model, doesn't it? 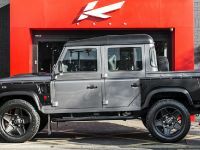 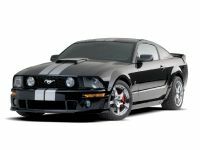 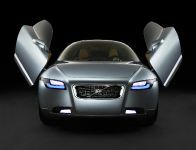 Other changes include a set of extended fenders with exposed bolt apertures, new bumper with integrated daytime running lights and shadow chrome headlights. 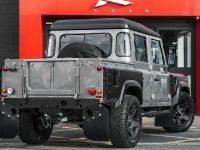 The modifications to the front continue with the new X-Lander front grille, which is in the same color as the lower bumper guard, thus giving it toughened look. 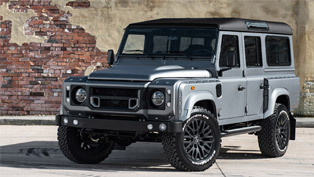 A stainless steel hood and fender vent mesh is what keeps the off-road design theme. 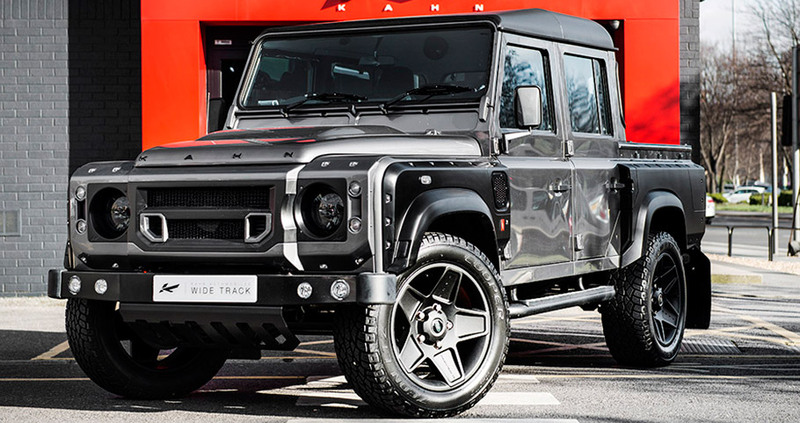 In terms of wheels and tires, this Defender definitely got the best. 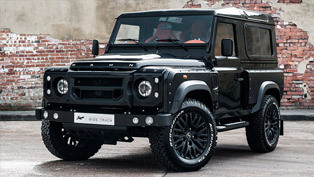 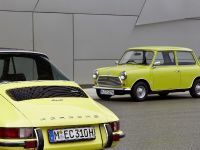 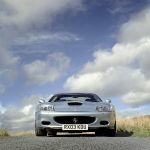 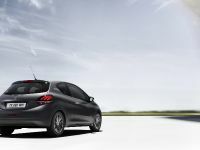 The reason for this is that it has been fitted with 9 x 20-inch Volcanic Black Mondial wheels. 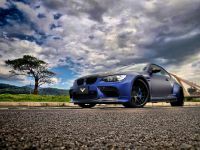 They were then shod with 275/55/20" tires. 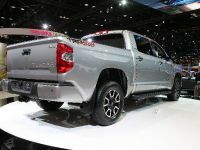 In addition, new toughened mud flaps can be seen behind the wheels. 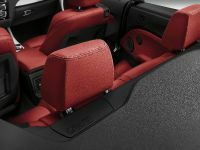 The rear pair actually integrates a set of cross-hair exhaust outlets. 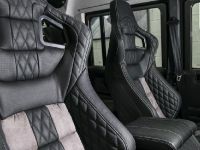 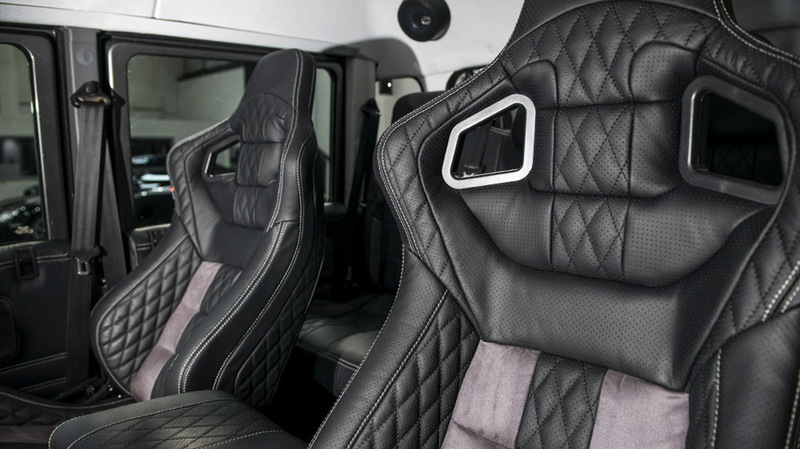 The cabin of the Kahn Land Rover Defender Pick Up is lavishly equipped with exclusive materials and features. 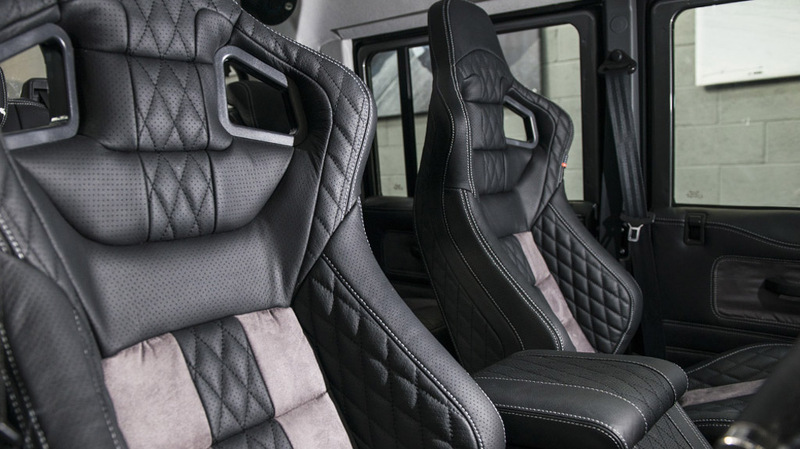 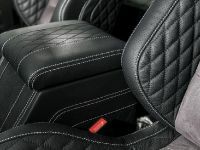 Start with the Sports GTB seats, they now replace the standard ones and come in Black Leather and Alcantara. 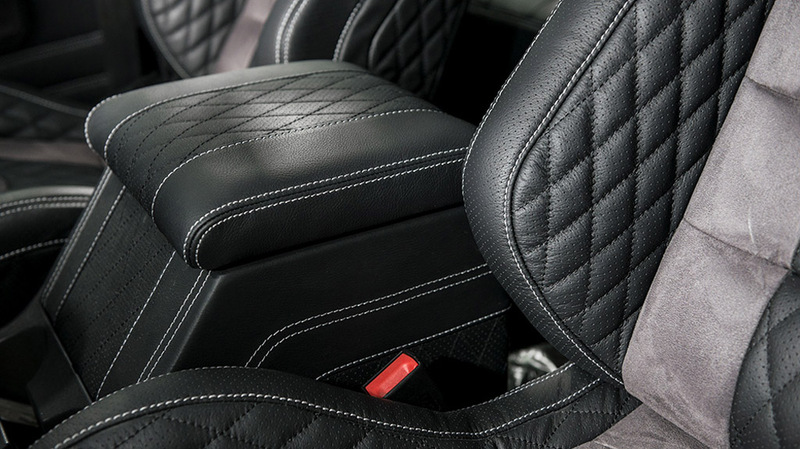 There is also a new Kahn billet steering wheel accompanied by vented foot pedals in machined aluminium inside. 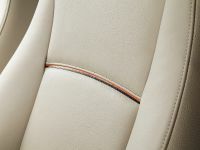 Rounding out this exclusive project is the Churchill time clock integrated into the dashboard.